Here's another card that I've made with the Tutti-Frutti Cards & Envelopes. This time, I used the Daffodil Delight design card and envelope. These cards and envelopes are a Sale-A-Bration (SAB) item, and you can only get them by placing a $50 order (before shipping & tax) by March 31, 2018, and choose them as your FREE SAB item. If you would like to see the other cards I've made with these Tutti-Frutti Cards & Envelopes, CLICK HERE. I also used the beautiful Blossoming Basket Bundle in the 2nd Release Sale-A-Bration brochure. This bundle is a Level Two SAB item, and you can get it by placing a $100 order (before shipping & tax) by March 31, 2018, and choose them as your FREE SAB item. I also used another SAB item, the Shimmer Ribbon Pack. I used the Calypso Coral ribbon that comes in the pack. 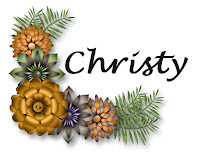 Emboss the large Crumb Cake piece by running it through the Big Shot with the Basket Weave embossing folder that comes in the Blossoming Basket Bundle. Wrap the Calypso Coral ribbon from the Shimmer Ribbon Pack around the right edge of the piece, and attach the ribbon ends to the back. Fold along the score line in a Daffodil Delight card from the Tutti-Frutti Cards & Envelopes. With the fold along the top, attach the embossed piece to the left side of the card. Stamp the flower basket stamp from the Blossoming Basket Stamp Set from the bundle onto the center of the Whisper White piece using the Tuxedo Black Memento Pad. 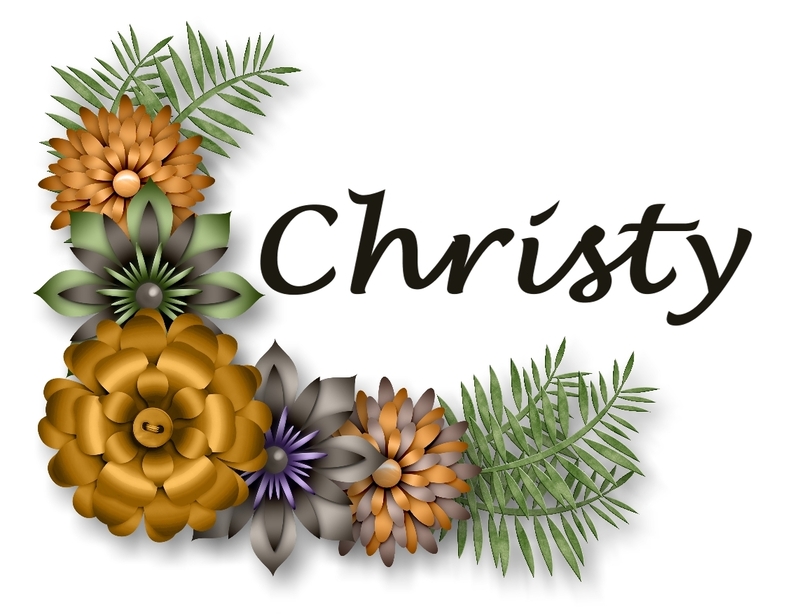 Color the flowers in with the Calypso Coral Stampin' Blends Combo Pack, the leaves in with the Old Olive Stampin' Blends Combo Pack, the flower centers in with the Daffodil Delight Stampin' Blends Combo Pack, and the basket in with the Crumb Cake Stampin' Blends Combo Pack. See the picture for color placement. Attach the piece to the center of the Calypso Coral piece, and then attach it to the center of the card base using Stampin' Dimensionals. 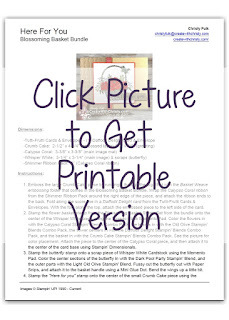 Stamp the butterfly stamp onto a scrap piece of Whisper White Cardstock using the Memento Pad. 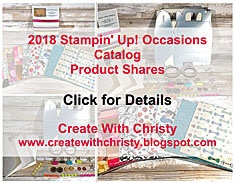 Color the center sections of the butterfly in with the Dark Pool Party Stampin' Blend, and the outer parts with the Light Old Olive Stampin' Blend. Fussy cut the butterfly out with Paper Snips, and attach it to the basket handle using a Mini Glue Dot. Bend the wings up a little bit. Stamp the "Here for you" stamp onto the center of the small Crumb Cake piece using the Memento Pad. Trim both ends of the piece at an angle with the Paper Snips (see picture). Put a Stampin' Dimensional on the back of the right end of the piece, and SNAIL Adhesive on the back of the left end. Attach the piece to the bottom, right of the card. The SNAIL end should be on the image layer, and the Dimensional side should be attached on the card base. 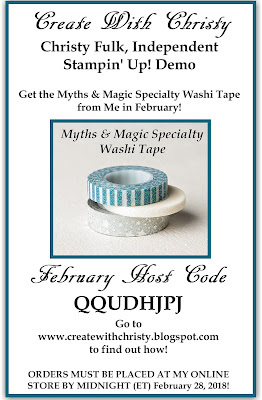 Get the Myths & Magic Specialty Washi Tape from the Occasions Catalog FREE with a qualifying online order in February from me! Offer ends @ midnight on February 28, 2018. Click on the picture to find out how you can get it, and to see the thank you card (with instructions) you'll get, too! February, 2018 Gift Offer Ends Tomorrow! Today's the Day! Fast Fuse 5-Day Sale Begins!